Make the most of your visit to Madrid and take this tour filled with art and culture. In one day, you will tour the Royal Palace and the Prado Museum with a local guide. You will have skip-the-line access. Hotel pickup and drop-off is not included. Make the most of your visit to Madrid and take this tour filled with art and culture. 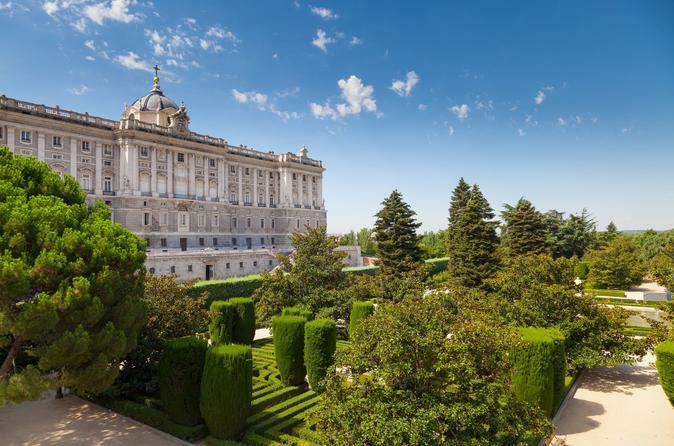 You will meet your guide at 8:30am to get to know one of the most memorable Royal Castles of Europe, the Royal Palace of Madrid, which used to be the official residence of the Spanish Royal Family. Nowadays, the palace is used exclusively for receptions, ceremonies and official events. The Royal Palace is also called Palacio de Oriente, due to its close proximity to “Plaza de Oriente” square, which is on the east (Oriental) side of the palace. It will take 1.5 hours to tour the palace. After a break for free time, you will meet up with your guide again at the Spanish National Art Museum at 5:15pm. At Prado, you will learn about the museum’s history as you walk around admiring its artwork and learn about the art of the artists from the hand of our expert guide. It will take 2 hours to tour the museum.